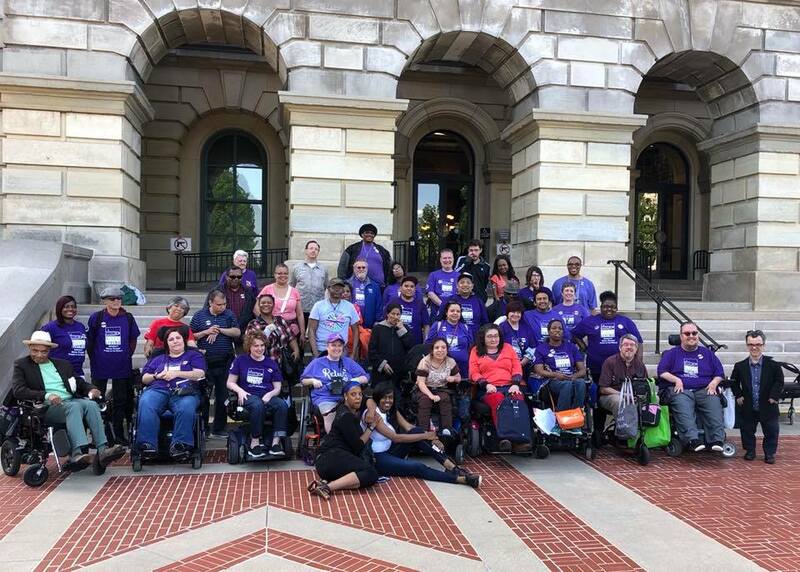 Access Living and Progress Center Disability advocates from Cook County in front of the State Capitol in Springfield. Adam is front row, second from the right. In particular, through his role as Housing & Transportation Policy Analyst at Access Living, Adam is dedicated to increasing access to good, affordable homes. “I’ve been a person with a disability my whole life,” he says when asked how he ended up working for the organization, which is committed to fostering an inclusive society that enables Chicagoans with disabilities to live fully–engaged and self–directed lives. 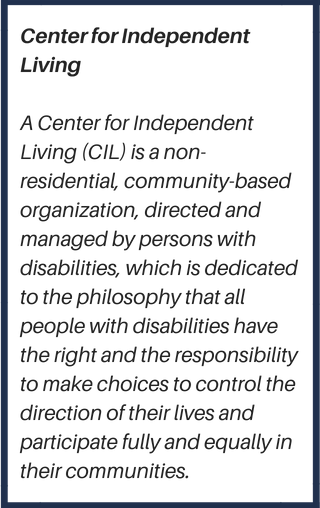 Adam grew up knowing about CILs; he was raised in western Illinois, where he was connected with Stone-Hayes, the CIL based in Galesburg. “But I only really went to them when I needed help,” he remembers. Too many homes that might be affordable are not built with accessibility in mind, leaving Illinois residents with physical, intellectual, or developmental disabilities to navigate a maze of very limited (and expensive) accessible units, nursing homes, group homes, and segregated apartment complexes. Too often, people with disabilities and their families also encounter discrimination when looking for housing; cases concerning discrimination against people with mental and physical disabilities make up 52% of the fair housing charges filed in Illinois in 2017. Adam set his sights on making a difference through joining the team at Access Living, an organization that has been a leading force in the disability advocacy community since it was established in 1980. Access Living is one of 46 founding organizations of Housing Action Illinois; our coalition formed when these groups recognized the need to tackle affordable housing at the state level. In the 30 years since, our organizations have maintained a close partnership. About 2 hours ago from Housing Action IL's Twitter via Hootsuite Inc.